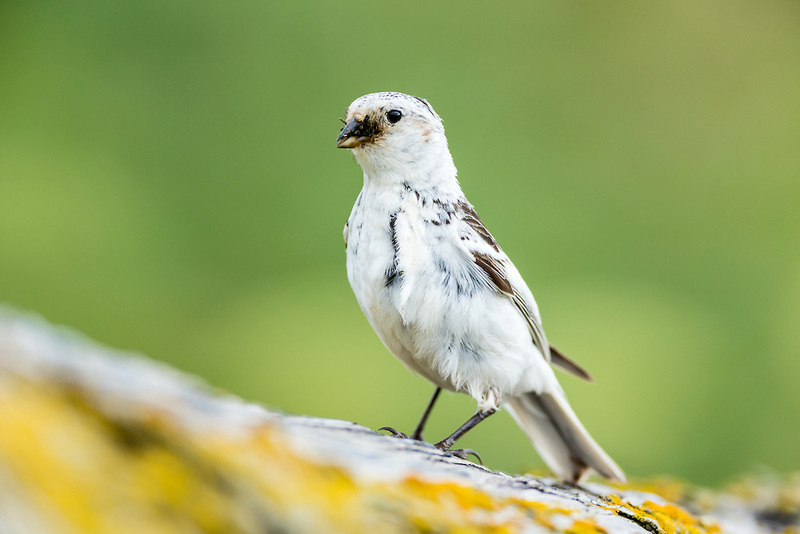 Snow Bunting (Plectrophenax nivalis) gathers a mouthful of insects for feeding its chicks on St. Paul Island in Southwest Alaska. Summer. Afternoon.